April 15, 1947: The day Jackie Robinson made history. On April 15, 1947, 28-year-old Robinson debuted in the major leagues with the New York Dodgers, officially becoming MLB’s first African-American player. 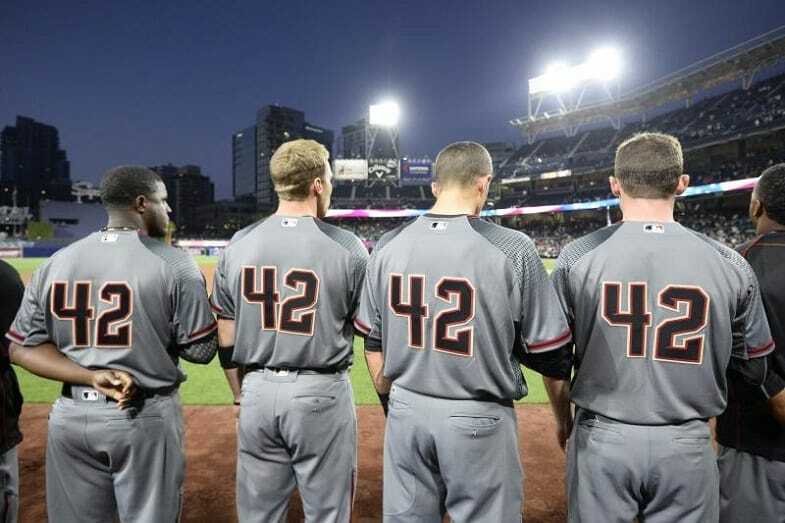 April 15th is now commemorated as Jackie Robinson Day, with every player in the league wearing the retired No. 42 jersey. April 15, 1991: Magic Johnson set a new NBA record for all-time assists on April 15, 1991. Magic tallied 19 assists in the LA Lakers’ 112-106 win over the Dallas Maverick, putting his career assists total at 9,898. Coming into the game, Magic only needed nine assists to break the record, then held by Oscar Robertson. April 15, 1997: On April 15, 1997, 50 years after Jackie Robinson made his debut, breaking the color barrier in MLB, the league permanently retired his number, announcing that no new player will wear no. 42. The league held a ceremony on that day, during a game played between the LA Dodgers and NY Mets at Shea Stadium. The NY Yankees’ Mariano Rivera was the last active player to wear the No. 42. April 15, 2013: On April 15, 2013, an explosion rocked the finish line of the annual Boston Marathon bombings, setting off a series of events that included a manhunt and a shootout. Three people lost their lives in the attack, and more than 260 were hurt. April 16, 1935: The 1935 season was Babe Ruth’s last season in the MLB, appearing in 28 games for the Boston Braves. It was also his first time playing for a National League team. On April 16, 1935, he made his debut for the Braves, hitting a homerun off the New York Giants’ Carl Hubbell. April 16, 1966: On April 16, 1966, Bill Russell agreed to become the coach of the Boston Celtics, and by doing so became the first African-American coach in the NBA. Russell was a player-coach for the final three seasons of his playing career, and led the Celtics to two more championships, his tenth and 11th rings. 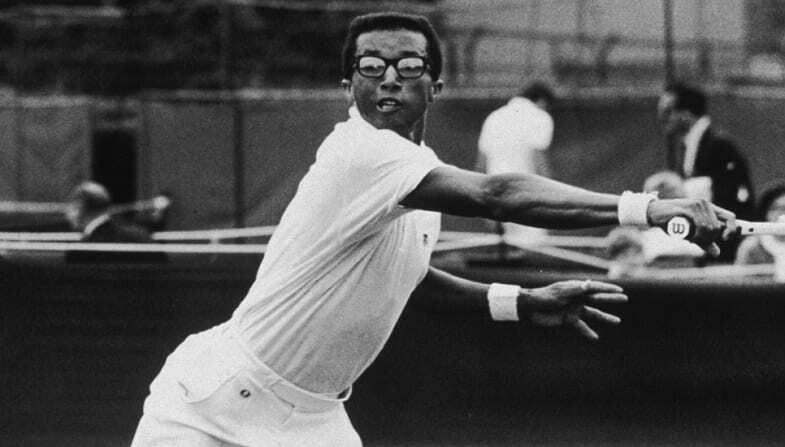 April 16, 1980: On April 16, 1980, Arthur Ashe officially retired from professional tennis. Aside from being a civil rights activist, throughout his career Ashe won the 1968 U.S. Open, the 1970 Australian Open, the 1975 Wimbledon title and was ranked world No. 1. April 16, 1987: During an end of season game between the Chicago Bulls and Atlanta Hawks, Michael Jordan scored 61 points. But those points weren’t his remarkable feat of the game. On that night, April 16, 1987, Michael Jordan became only the second player in the history of the league to score 3,000 points in a single season. The other player to do so: Wilt Chamberlain. By the end of the game, a loss for the Bulls, Jordan scored 3,024 points for the season. The following night, the final game of the season, Jordan added another 17. April 17, 1951: On April 17, 1951, Opening Day of baseball season, New York Yankees rookie Mickey Mantle made his major league debut. The 19-year-old went 1-for-4, with a single run and RBI in the 5-0 win over the Boston Red Sox. April 17, 1976: This may be considered one of the greatest comebacks in the history of the National League. On April 17, 1976, the Philadelphia Phillies were trailing the Chicago Cubs 12-1 after the third inning. They were able to cut the lead to 13-4 by the fifth inning and had an explosion in the seventh, eighth and ninth innings to send the game into extra innings. They were led by Mike Schmidt’s four homeruns. He finished the game going 5-of-6, with 4 runs and 8 RBI. April 17, 1983: On April 17, 1983, Nolan Ryan struck out the 3,500th batter of his career. The Hall of Fame pitcher would go on to strike out 5,714 batters over his 27-year career. April 17, 1987: During his final home game during the regular season, Julius Erving needed 36 points to join the 30,000 point club. While he had another regular season to reach the feat, he wanted to do it in front of the home crowd that came to bid farewell. And he did. Doc J finished the game with 38 points shooting 54.8 percent from the field. Point number 30,000 came on fadeaway with 4 minutes and 58 seconds left in the third period. April 18, 1995: After 15 seasons in the league, four-time Super Bowl Champion quarterback Joe Montana announced he is retiring from the game. Montana said he wanted to walk away from football healthy. Rumors of his retirement began already in December of 1994, but was officially confirmed during the ceremony. 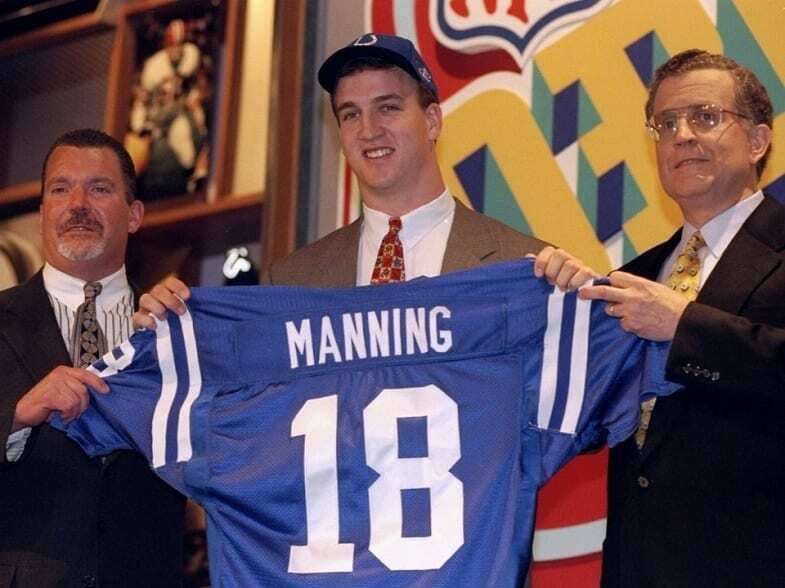 April 18, 1998: The Peyton Manning era officially began on April 18, 1998, when the Indianapolis Colts drafted the quarterback from Tennessee first overall. Manning would go on to play in Indianapolis for 13 years, winning a Super Bowl, before wrapping up his career with four seasons in Denver (and another ring). April 18, 1999: “The Great One,” Wayne Gretzky, played in his final NHL game on April 18, 1999. His last game on the ice was a 2-1 loss to the Pittsburgh Penguins, and the Rangers finished the season with a 33-38-11 record, missing the playoffs. He had announced two days earlier that the final game of the season would also be the final game of his outstanding career. Gretzky’s final point was a second-period assist on a power-play goal. April 20, 1939: Twenty-year-old Ted Williams recorded his first major league hit on April 20, 1939, Opening Day in the major leagues. Williams’s first hit was a double off Yankees pitcher Red Ruffing. April 20, 1986: On April 20, 1986, Michael Jordan set a playoff record, scoring 63 points in a first round game against the Boston Celtics. He shot 53.7 percent from the field and hit 19 of 21 free throw attempts. But the Bulls lost 135-131 in overtime, dropping to 0-2 in the series and were eventually swept by Boston. April 20, 2008: Mark the day. On April 20, 2008, 26-year-old race car driver Danica Patrick became the first woman to win an IndyCar race after winning the Indy Japan 300. April 21, 1996: On April 21, 1996, the Chicago Bulls set a new NBA record, winning 72 games in the 1995-96 season. They had already broken the Lakers 69-win record from 1971-72 a few days earlier, but their 103-93 win over the Washington Bullets earned them the (temporary) title of “the greatest team in NBA history.” Their record stood until the 2015-16 season, when the Golden State Warriors won 73 games.